What's a great place to go and party for New Years in the USA? Well, Times Square in New York City always looks like fun. I've also been in Philadelphia on New Years Eve and they have some pretty wild fireworks. I would have to say NYC!!! I've been living in USA for almost 10 years and have been living in NY for over 3 years.I once had a new pears party at Times Square as well and also had a good time with my friends at club.NYC is such a big party city if you are seeking for somethign very exciting events!!! 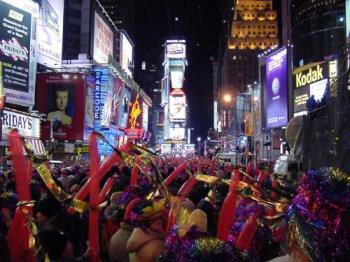 i think the best place to party in the United States on New year's Eve would have to be New York. They drop the ball in Times Square and there is always a ton of people there.